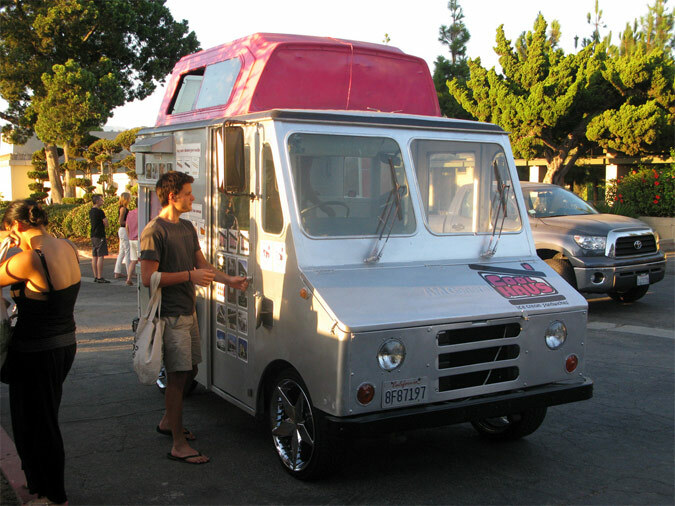 The Coolhaus ice-cream sandwich truck in Los Angeles was started by architecture graduate Natasha Case. The panelists included Won Ju Lim, a visual artist; Brett Farros, an architect/developer; Yeekai Lim, owner of Cognoscenti Coffee; Natasha Case, owner of Coolhaus ice cream; Carmen Salazar, a sculptor; and Sebastian Munoz, a designer at design product manufacturer Arktura. None of these trained architects works as architects. And with architecture jobs still in short supply, it makes perfect sense. Why should they sit on their hands and wait for only one kind of job when they are so well-equipped to do so many other kinds of work? According to a report from the National Architectural Accrediting Board, 6,191 people graduated from accredited programs in 2010-2011 academic year (and about half of those will go on to become licensed architects). “If we look at pure labor statistics we should shut down half the schools,” said Lee Waldrep, assistant director in the School of Architecture at the University of Illinois at Urbana-Champagne. Instead, he suggests that students trained as architects are also suited for communication, collaboration, research, and creative problem solving. This can open the door to careers in planning, project management, computer design, development, fashion design, photography, humanitarian development, furniture design, film, and many more. “Design is everywhere,” as he put it. “Most students that enter architecture school only think of being an architect. They don’t think about being a planner or a cartographer or a writer. They don’t know what’s available to them,” said Waldrep, who is the author of Becoming an Architect: A Guide To Careers In Design (Wiley Press.) He challenges young architects to better sell their considerable skill sets, and to “design yourself,” and your career, just as you would an architecture project. “You know about the design process, so why not apply it to yourself?” is his mantra. One of the Woodbury panelists, Natasha Case, studied undergraduate architecture at Berkeley and graduate architecture at UCLA. She now owns a business selling gourmet ice cream sandwiches that has expanded to four cities and grown by over 300 percent a year since starting in 2009. One of the most important things architecture school taught her, if not explicitly, was how to think creatively and how to brand herself. “Having to be in front of a jury and talk about your work, you think about what sets you apart. We start to develop a signature and a style and hone in on what interests us,” Case said. She was critical that architecture school did not prepare her for the business of architecture, noting “I don’t think we ever discussed a project’s budget.” But it did help her establish an identity. “A creative person will be attracted to many ways of being creative instead of one way that’s set in stone,” she said. Now she uses more of her design skills to develop logos, sandwiches, trucks, and stores than she ever did in conventional practice. She and others talked about learning the language and creative organization of architecture and applying those abilities to less traditional paths. This, of course, doesn’t mean that all architecture students need do something else. In times of economic retraction, the tradition of architects turning to other lines of work—Rem Koolhhas doing the research for Delirious New York, in one famous instance—is well established as an important way to stoke creative energies for the return of work. But even those who leave the fold for good often still consider themselves part of the profession, using those skills and playing an integral part in the design discussion. Besides, architects are creative people. Why should they all stay inside a box?